A group of interacting galaxies. Clockwise from upper center in the main group is NGC 67, NGC 69 ( detached at 2:00 position), NGC 72 (detached at 5:00 with NGC 72A immediately below), NGC 71 and NGC 70. 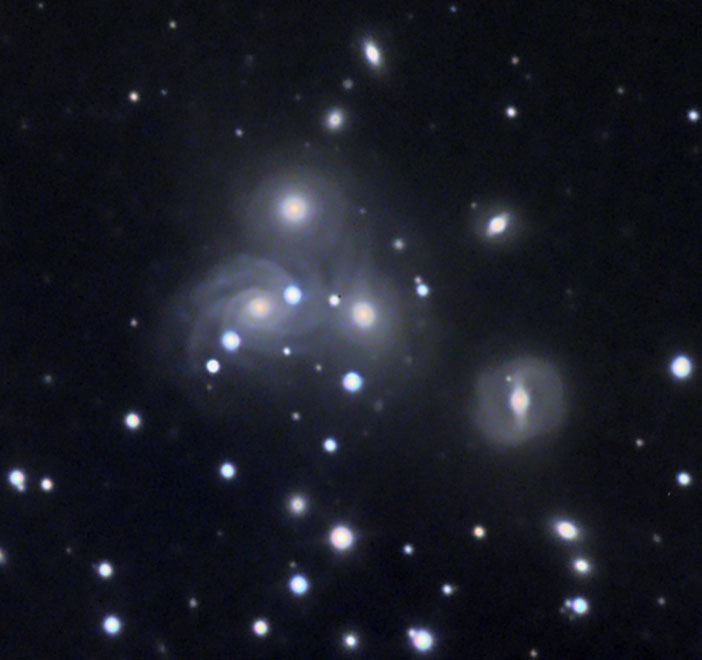 There are numerous smaller galaxies in the image. Distance to the group is approximately 270 Mly. NGC 71 and 70 are classified as peculiar galaxies but I could not find any research papers on this group. I'm assuming they are interacting.